Six unions of workers and employees of the Vadodara Municipal Corporation (VMC) have threatened to launch an agitation from Thursday to press for their long pending demands. 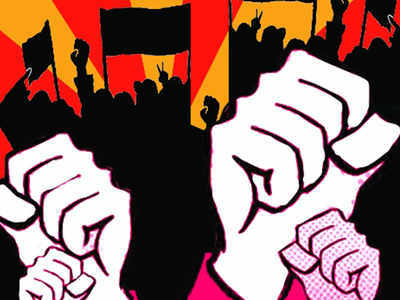 VADODARA: Six unions of workers and employees of the Vadodara Municipal Corporation (VMC) have threatened to launch an agitation from Thursday to press for their long pending demands. The demands raised by the unions that largely include those working for the backward classes include those of giving permanent employment to temporary staffers, reappointing those temporary workers who were relieved recently and others. The unions will conduct a rally on Thursday and hold demonstrations wearing black bands on Friday. On Saturday, a ‘Ram dhun’ will be held at the VMC headquarters at Khanderao Market while the workers will go on a mass casual leave on Monday.